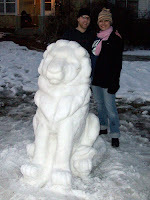 One thing Brian and I enjoy doing together is creating snow sculptures. 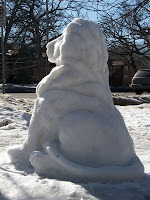 Last year was our first snow sculpture, an angel. We wanted to be different and I live right on the corner of a very busy street. So it made sense, to us anyways, to go grand. 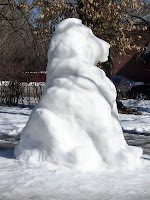 Little did we know that the snow angel was just the practice piece, because this year we blew it out of the water.